United Ag has two cotton gin locations in Danevang and Hillje to better service farmers along the Gulf Coast of Texas. Between the two gins, we have nine Lummus 170 Gin Stands with Model 700 Feeders with the capability of handling over 2,200 bales of cotton per day. 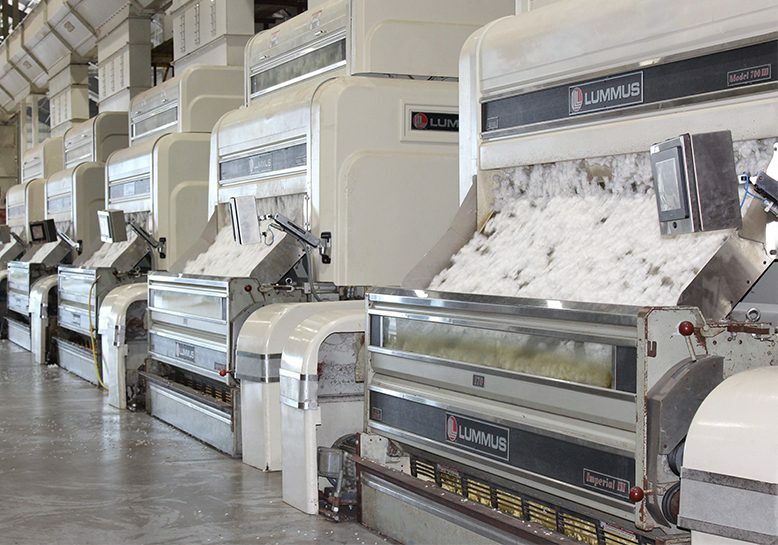 Both gins utilize the latest in technology and machinery, serving as industry leaders in preventing contamination and preserving cotton quality. 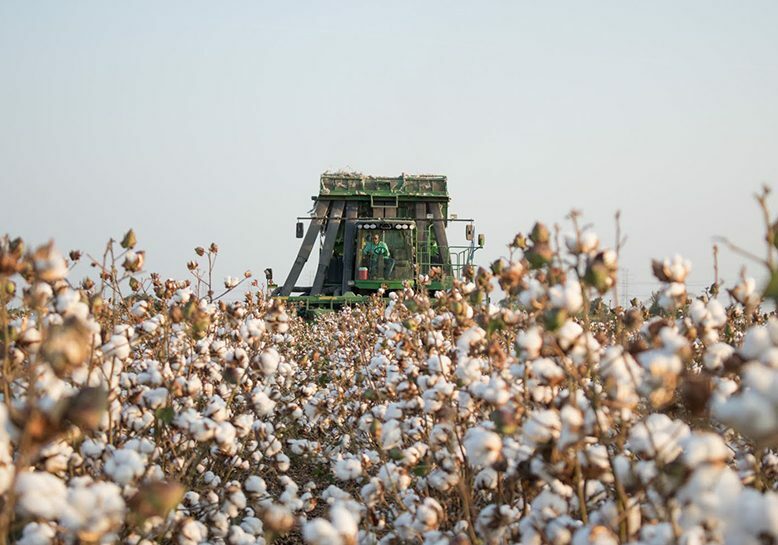 United Ag operates with the IntelliGin system allowing for real time cotton classification along with the “Moisture Mirror” system to ensure proper moisture levels. United Ag has and continues to invest in our gins to remain the leader in cotton on the Gulf Coast of Texas for our producers. United Ag takes pride in being able to assist local farmers in the selling of their cotton. There are many different ways we are able to help producers market their crop. Our most popular marketing avenue is the Plains Cotton Cooperative Association (PCCA) Marketing Pool. The PCCA’s Marketing Division is responsible for selling pool cotton with guidance and oversight from the Marketing Pool Committees. These committees consist of representatives from each PCCA district. Their goal is to receive a good average price, have a successful marketing team, minimize risk, and be less vulnerable to market fluctuations. With their focus on local operations, the farmer can benefit from a global sales network and easy payment distribution. The “sign in” date for the PCCA Marketing Pool is November 15th through December 15th of each year. The agreement remains in effect from year to year unless it is cancelled by the grower-owner. Cotton that is delivered to a Cooperative Compress can also be sold on The Seam. This cotton marketing system is designed to make trading safe and secure. Once cotton is placed on the system for sale, the producer will receive bids by text from Seam buyers. The producer can notify us if they are interested in the bid(s) or if they would like to send the buyer a counteroffer. This system has proven to be a very successful form of selling cotton for our producers. United Ag also has many valuable relationships with other pools. We work diligently throughout the season to get producers the best contract available for their cotton. We have buyers who offer bale and/or acreage contracts. If interested in pricing your cotton, please contact the cotton division. United Ag uses the highly effective TELCOT Scale Ticket Software available from PCCA. Farmers can view their cotton information by logging onto www.pcca.com, where they can easily set up “Member Access Login”. 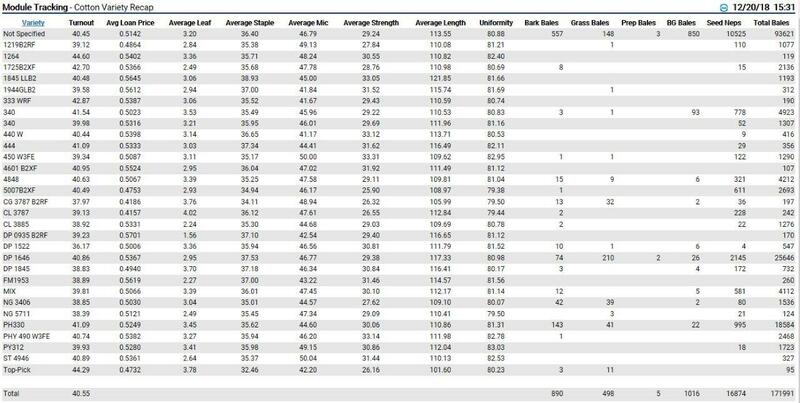 This allows farmers to see module and bale information as well as classing data. They can also access the status of their cotton, receive market updates, view scale tickets, and classing information as soon as it is available to us. In addition, the system retains a history of previous cotton years ginned at our facilities. Using this same login, producers can download the PCCA Member Access App onto their smart phone. Through this app, module locations can be reported by sending United Ag a “pin” location. Utilizing this tracking system, the truck can be dispatched to the precise location of cotton modules. After “pinning” the module, a text will be sent containing module numbers and ginning order. This system has been very successful. Our drivers are equipped with electronic devices that notify them when a module is ready and where to go to pick it up. The cotton is then taken straight to one of our gin locations. Many buyers have preferences as to where they would like their cotton to be delivered. 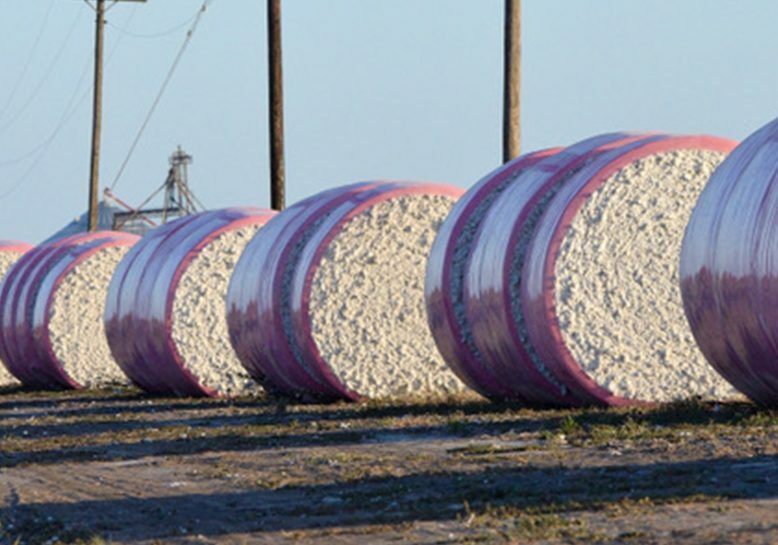 United Ag has the ability to transport cotton to various warehouses, as such please notify us prior to picking with any special requests regarding your cotton. 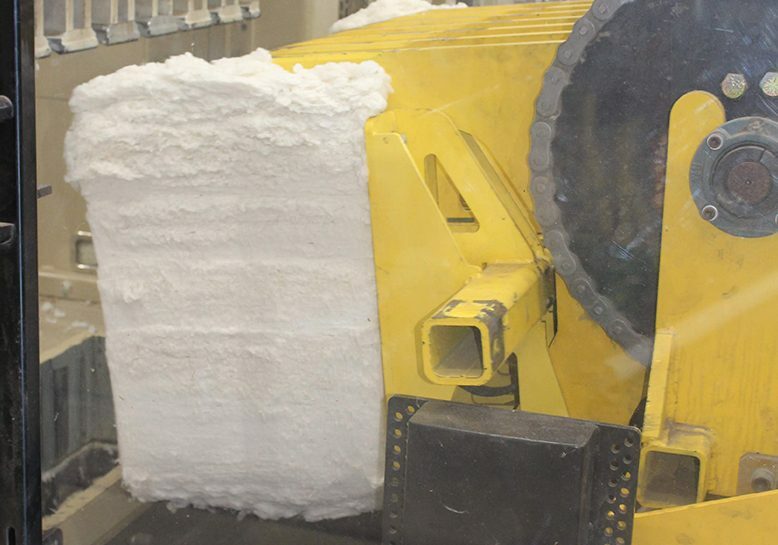 In most cases, cotton is taken to United Ag warehouses or Gulf Compress. United Ag is always striving for new ways to help our producers and members. Throughout the years new cotton varieties are constantly developed and made available. United Ag prepares a variety recap at the end of each season regarding these new varieties, based on the information received at planting, or when modules are pinned during harvest. The variety recaps allows producers to make informative decisions when planting future varieties. OUR CURRENT VARIETY RECAP CAN BE SEEN BY CLICKING HERE. In 1992, United Ag opened our first cotton warehouse after seeing the need for a local storage location for our farmers. Previously, cotton bales were hauled from our area to Corpus Christi and then later delivered to Houston for shipment. We now have three warehouse buildings that have the ability to store a total of 30,000 bales. Our United Ag Cotton Warehouses are known to ship out cotton within a week of receiving an order and never being late on our orders. When the warehouses are full, we immediately ship out bales in an effort to have room for more cotton prior to the end of the ginning season. United Ag takes pride in our warehouses, because of our small size, we strive for efficiency and productivity at all times to better benefit our members.